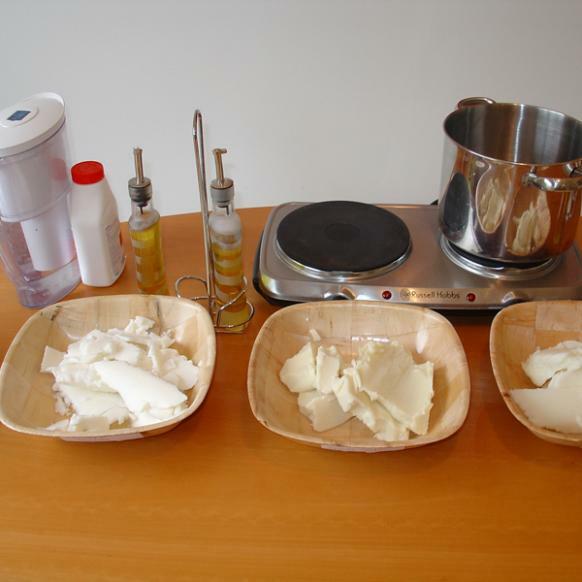 What are the basic 3 oils for soap making? Luckily, a whole lot of other soap makers have faced this same question and we can benefit from their experience. What is a good, average soap formula? You can clear plastic, but we suggest you use Reynolds brand freezer paper, folded to fit into your mold. Fill your container with something that you can clean out easily ( a few ideas might be sugar, salt, or water) and weigh the amount used. This is the sum weight of oils plus lye needed for your mold. I've mastered basic soap making. You can add scents - either essential oils or cosmetic grade fragrances. (Be sure that the scents you use are recommended for use in soap making) You can add different oils or butters or alter the proportions of the oils you use to emphasize the different soap making properties of different oils and butters. You can use other people's recipe formulas by entering the oils and scents from these formulas into a saponification table, then resize to fit your mold. That's what makes soap making and the internet such a great combination! Do some research online. Soap making is a fun, fascinating and even addicting hobby! Tell your friends about it and share the fun!